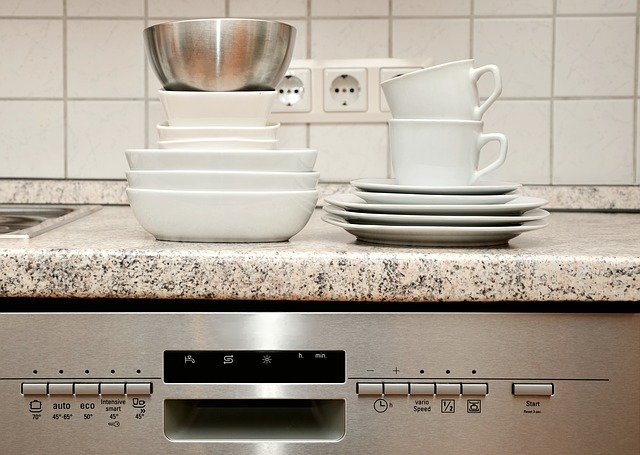 When improperly maintained, dishwashers are prone to breaking down. Appliance technicians have some tips to prevent damage to your machines. Do not overload your dishwasher. Instead of stuffing all of your dishes in at one, break them down into two loads. This will also give your dishes the proper wash.
One of the worst things you can do is not scraping off the food from your plate. Food can get into the washer arms and screens and damage the pump and motor. Use the right amount of dishwasher soap as using too much can cause buildup. Then this can affect the performance of washing dishes. Mistakes can happen and if your dishwasher has been damaged, shop your parts online to save on repair. At Let’s Talk Parts, we sell high quality replacement parts at affordable prices. Shop for your replacement dishwater parts online. This entry was posted in Blogs and tagged dishwater parts, Let’s Talk Parts. Bookmark the permalink.